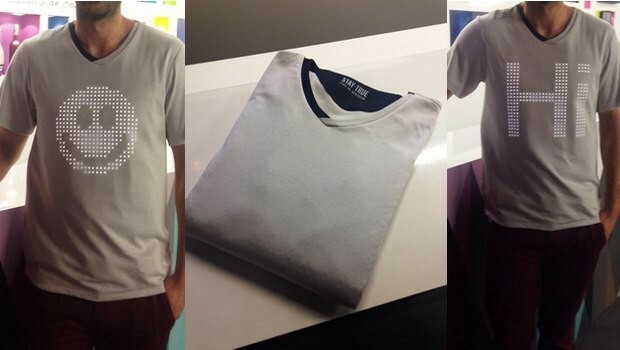 How the hell do you make a wearable, washable, digital tshirt? 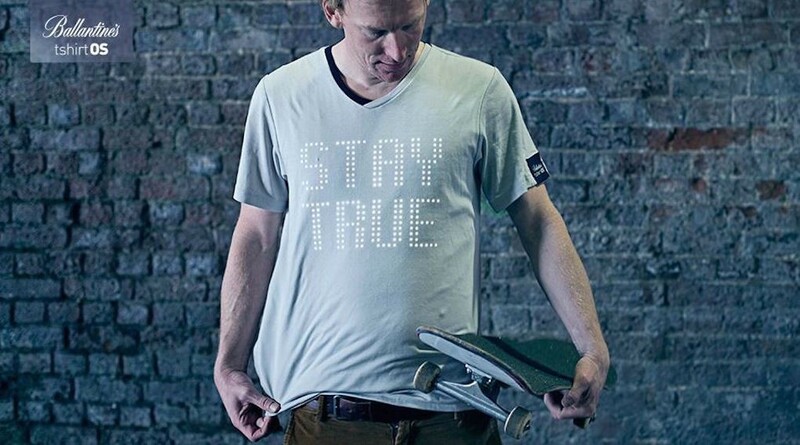 Skater, Digital Strategist and all round ‘Good Bloke’ Ben Phillips models TshirtOS 2 — 2014. 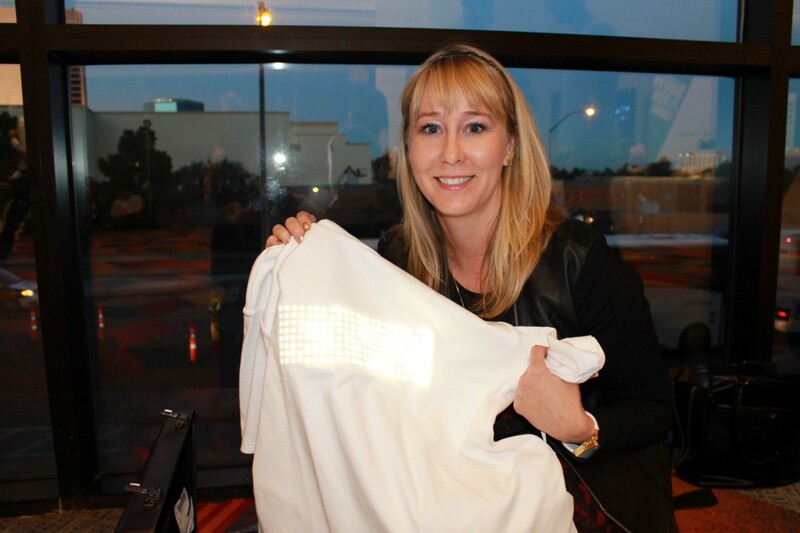 Really, the first question isn’t how… it’s why... why did you make a wearable, washable, digital tshirt? This is about a Ballantine’s exploring new audiences. New kinds of thinkers and different ages of drinkers. You can’t do that with a product story, it has to be a brand story. 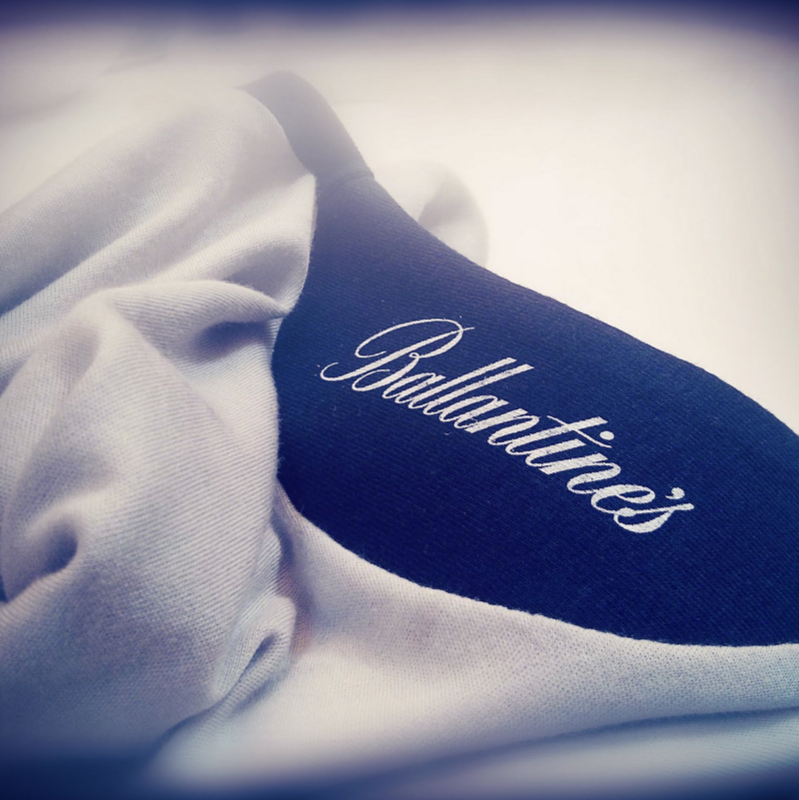 Ballantine’s believes in the power of personal expression to do great things. The tshirt is the classic statement of who you are. The status update before the status update existed. 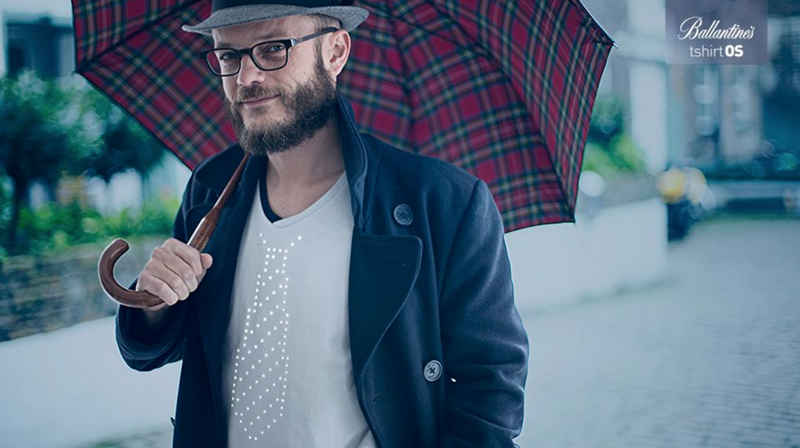 A tshirt can take you into design, fashion, music and many places a whisky can’t easily go. 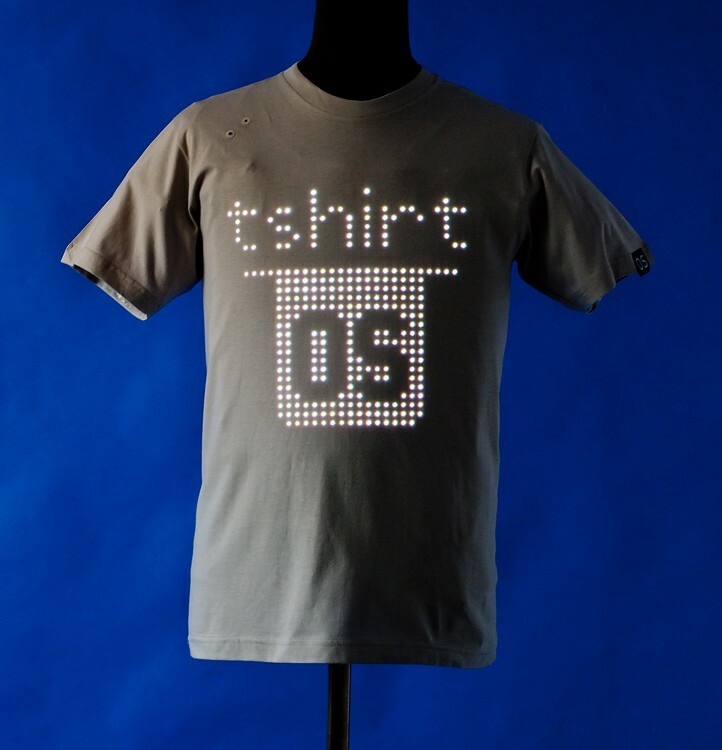 Furthermore a digital tshirt can open up conversations in technology, maker culture and innovation. Globally. Everyone understands the tshirt. 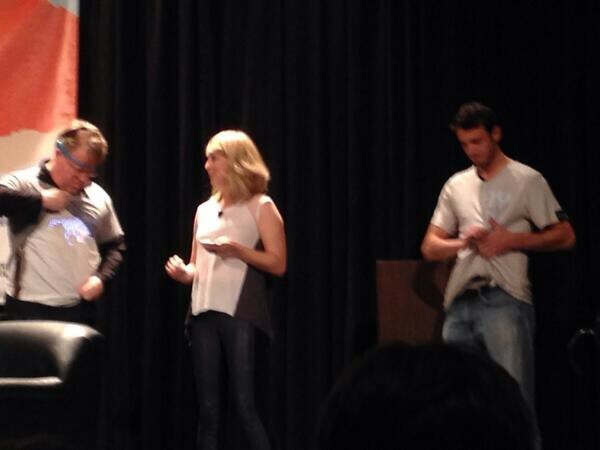 Our job was to innovate the tshirt to open up new audiences. Introduce the brand, and bring the product with us. 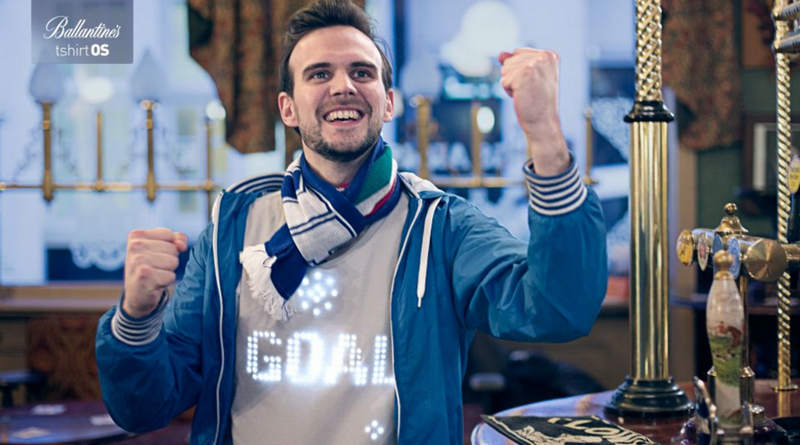 So, that’s why a digital tshirt. But how? 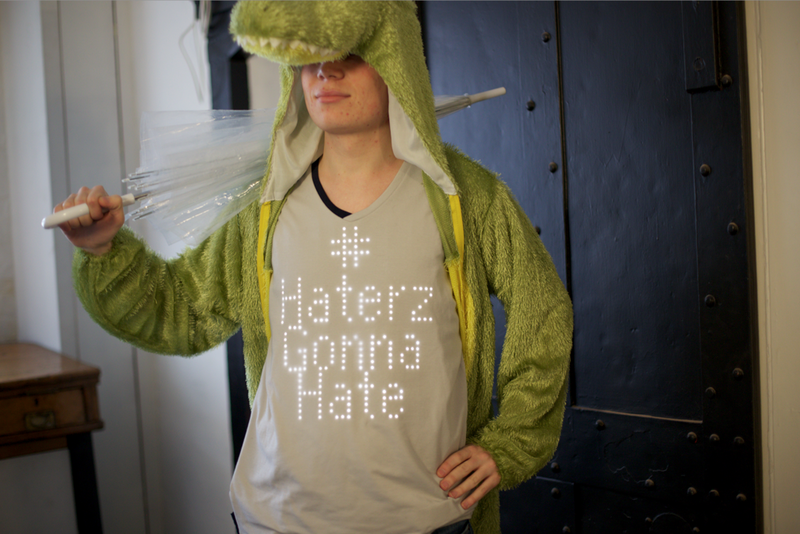 and a simple question… If we can make a digital tshirt, would you want one? 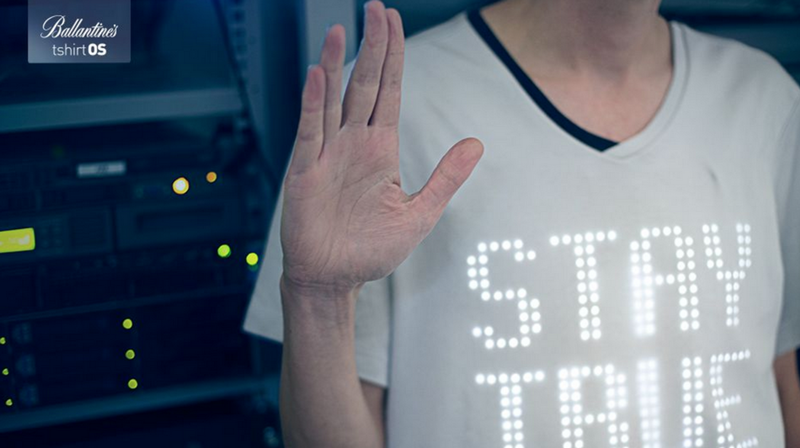 Created in partnership with innovative London based wearable tech fashion company Cute Circuit our promise was a tshirt loaded with apps. 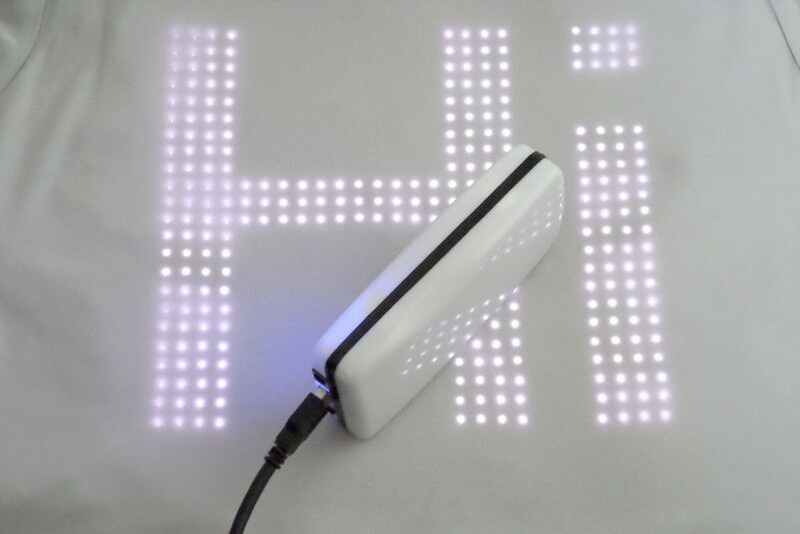 Micro-camera, microphone, speakers, accelerometer and a full colour screen (1,024 pixels arranged in a 32 by 32 grid) all connected to your social accounts. 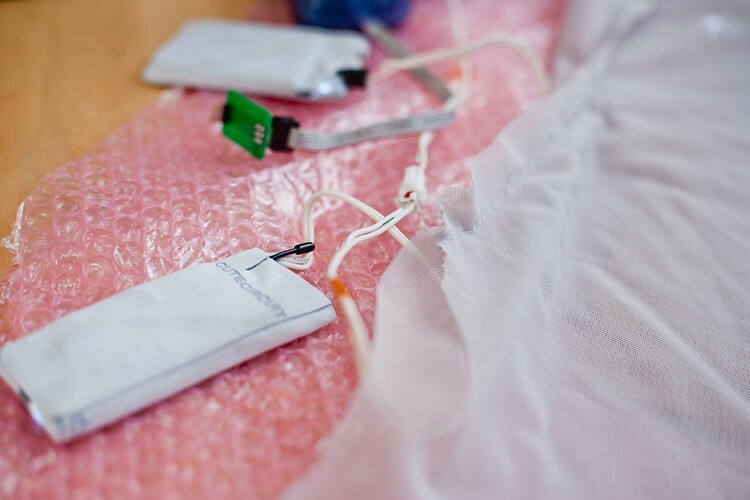 We created a completely unique working prototype using a bespoke internal ‘brain’ stitched into the fabric, able to talk over bluetooth with an iOS app controller. 18'000 people signed up for further news and the work generated over 100M impressions. Written up by all the key design and tech websites and even appearing on Taiwanese news a Portuguese prime time chat show and Good Morning America. We celebrated by taking it for a spin in East London with this 80s buddy movie / tech demo directed by Kim Gehrig @ Somesuch. TshirtOS 1 was great. 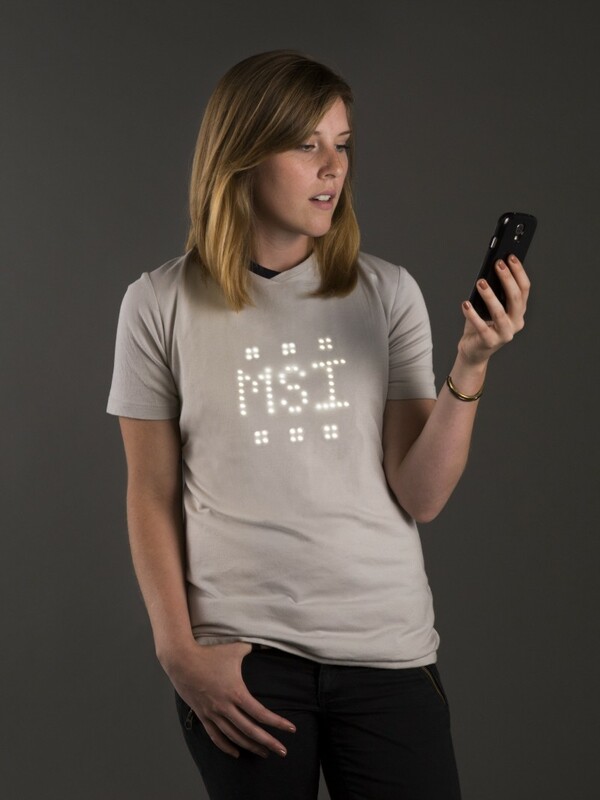 A real live, animated, programable, wearable — but not yet washable — tshirt. But still a first gen prototype. 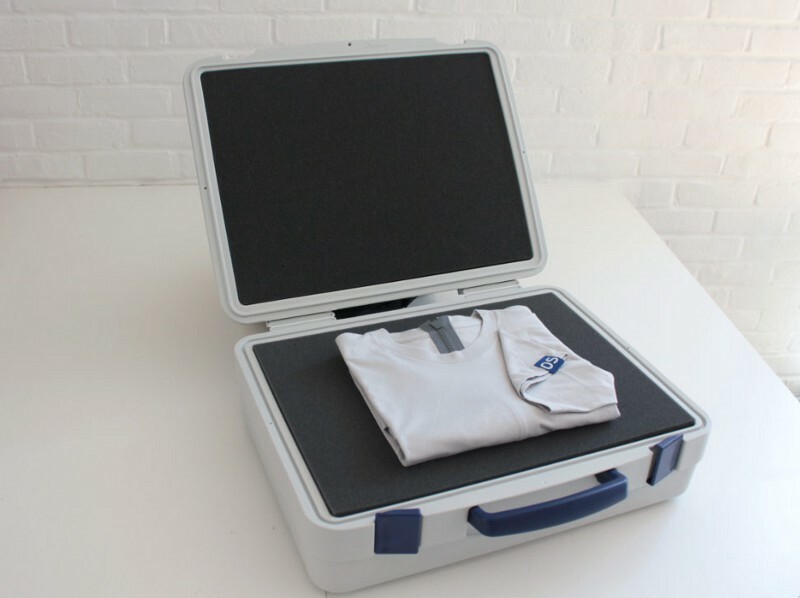 A great fashion statement and very smart piece of kit that shows what is possible — but a one off, well almost, we made two. The most common question asked was ‘why don’t you put it on Kickstarter?’ That would have needed a unit cost, and a scalable product ready for market, using materials sourced at the right price and availability. Not to mention all the delivery infrastructure and support that comes with it. We had none of that. We had a great proof of concept, if a little delicate. 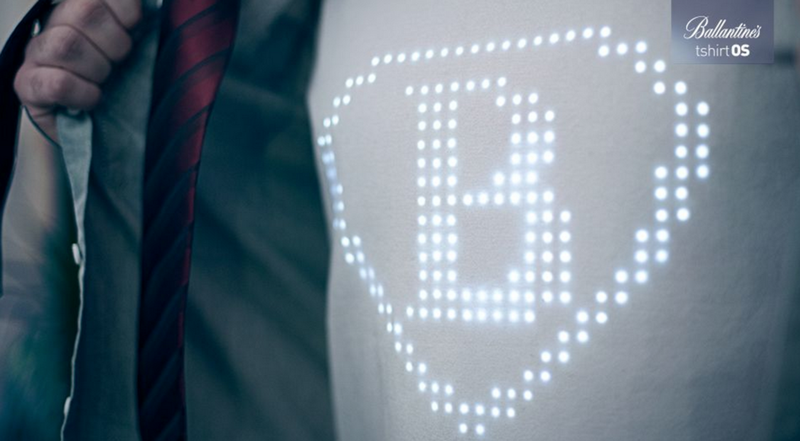 Like Tony Stark’s first Iron Man suit — someone had put you in it and run a boot up sequence. We couldn’t stop now. 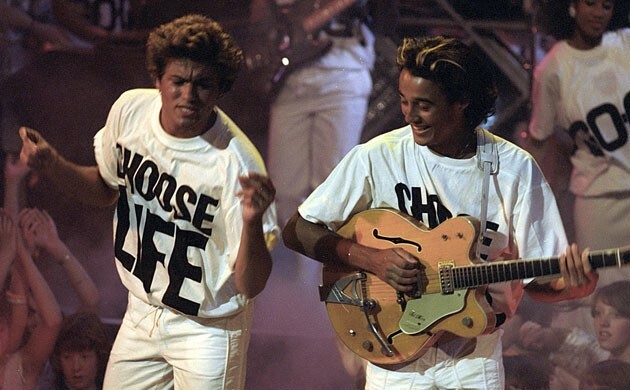 We needed to make tshirtOS so it could be worn again and again and again, by anybody. What next? 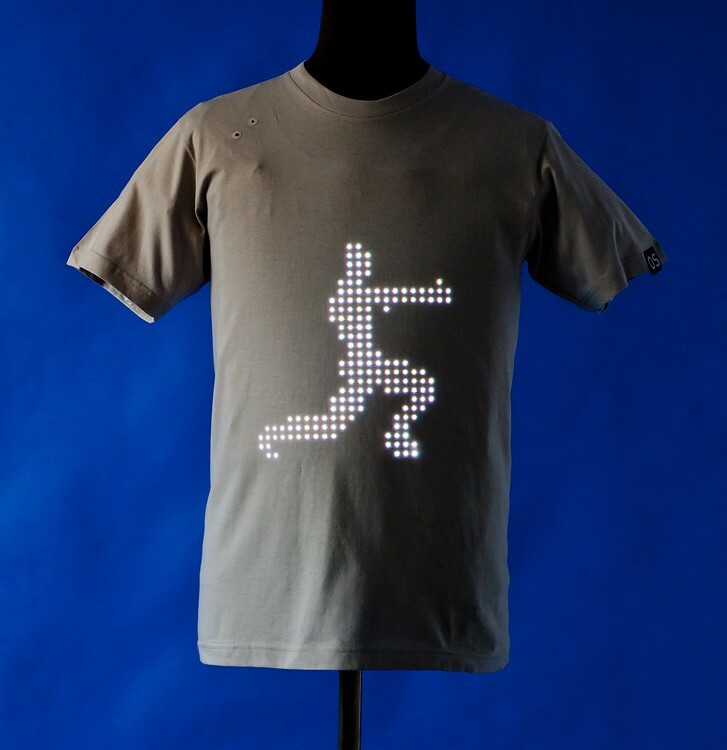 Jump forward and now in a new partnership with wearables entrepreneur Alison Lewis and her San Fran based company Switch Embassy our aim was to create a second iteration ready for mass production… maybe, one day. 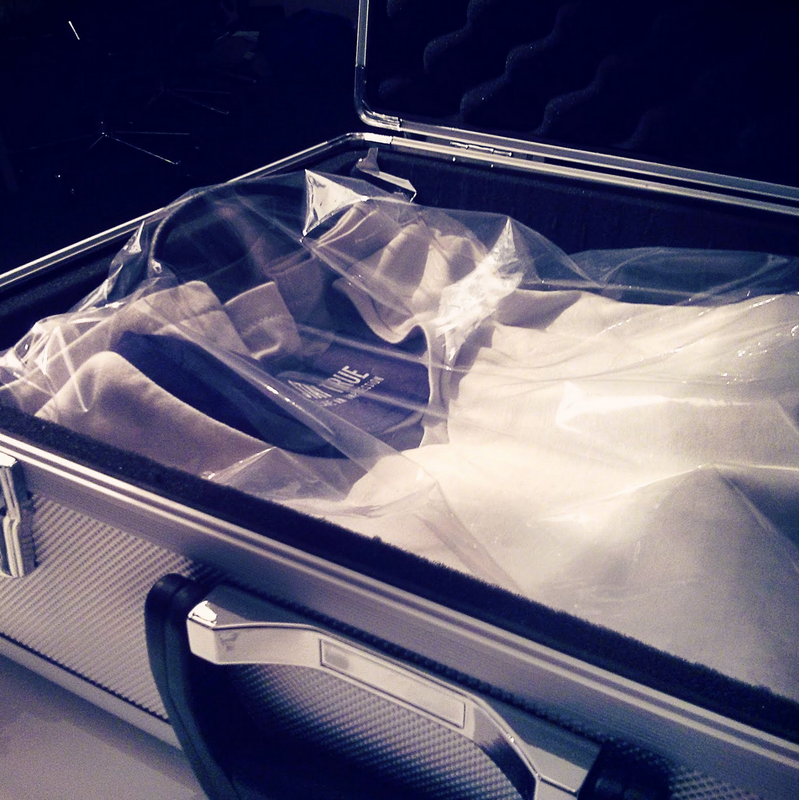 We refined a brief together: drapability + waterproof + excellent battery life. 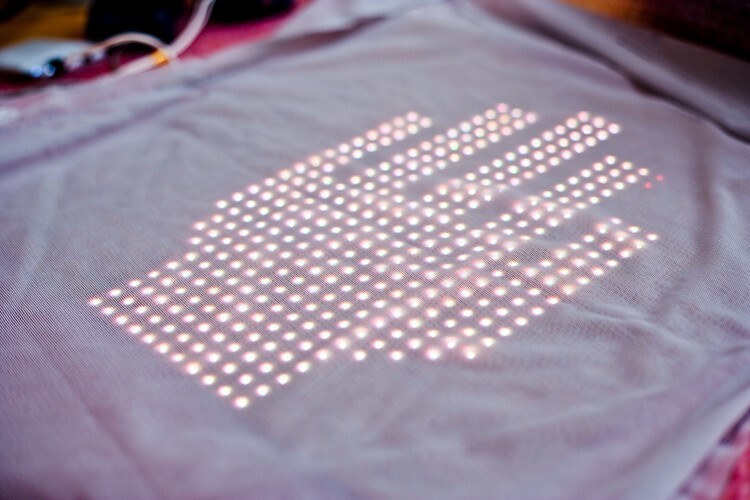 The new screen was made up of LEDs 6mm apart within a 20cm x 20cm screen (33x33 pixels, 1089 resolution), stitched into a unique fabric to create circuits. 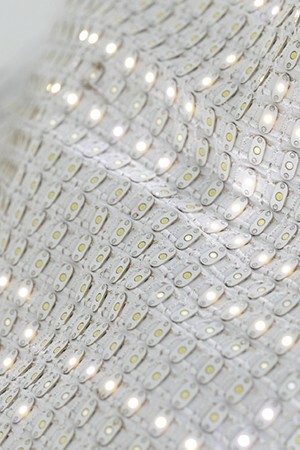 This forms an extremely flexible, scrunchable screen, as thin as the fabric itself. 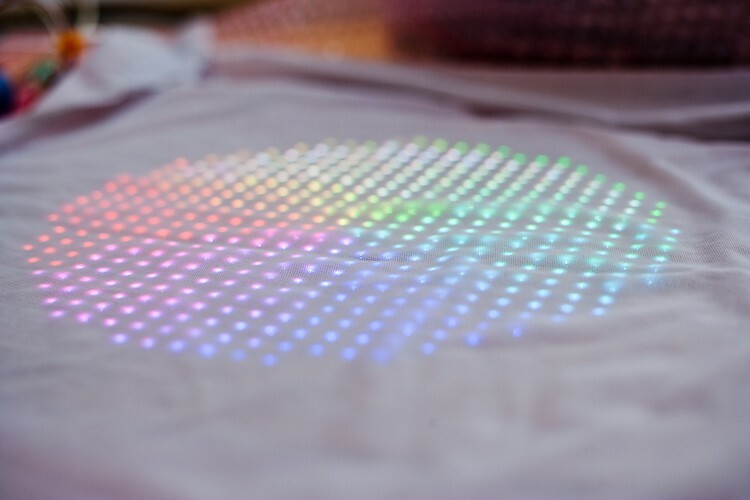 But monochromatic this time — at time of making there are no sewable RBG LEDs on the market. 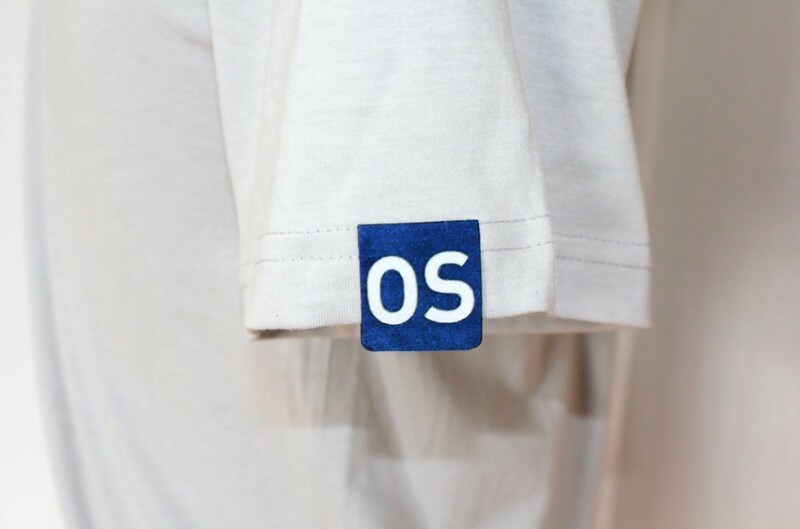 Alison’s team spent three-and-a-half months evaluating over 1,000 materials and then creating 50–100 prototypes — “Some of them were just hand drawings on a tshirt,” says Lewis. “Where should all the electronics go? 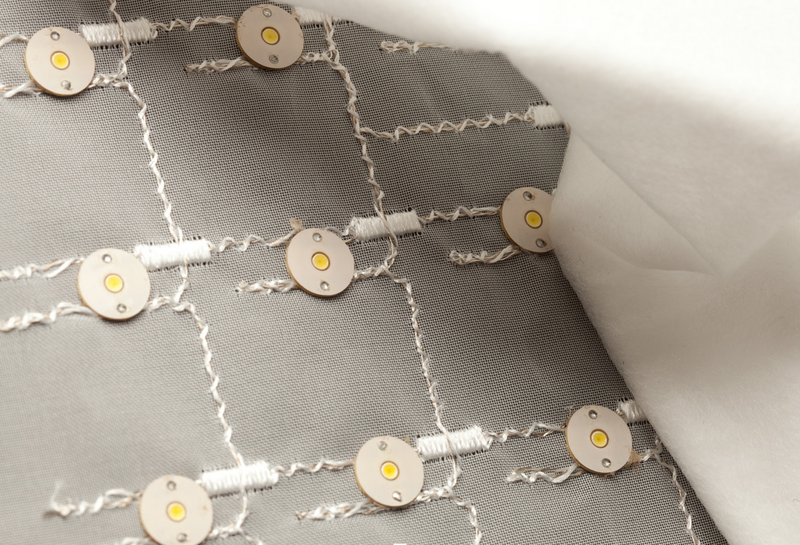 How is the fit?”- before settling on Forster Rohner as the e-broidery® material of choice. 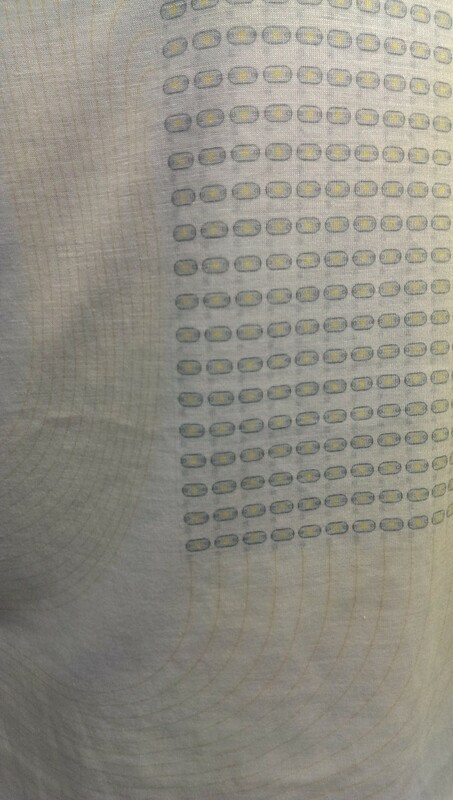 We found that splitting the screen into two sets of embroidered wiring patterns allowed us to position two PCB units at each side of the shirt, which balanced it for comfort and meant the fabric wouldn’t stretch as they sat along the toughest seams. 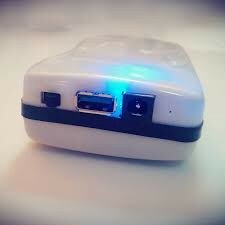 We put the brain and battery on the outside of the shirt in a smartphone-ish sized box to sit in your pocket. 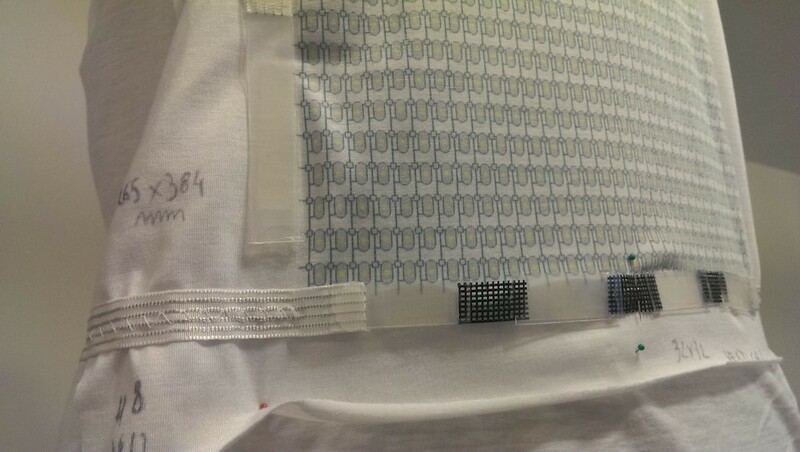 This meant the tshirt could be machine washable (the PCB units were sealed in resin and the LEDs were already manufactured to be waterproof). 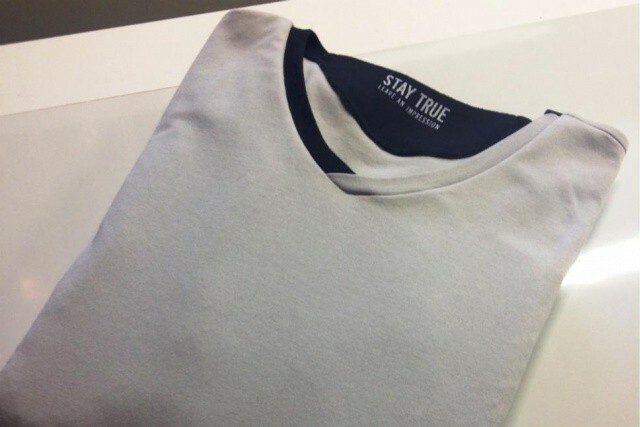 It increased durability and flexibility of the shirt, and future-proofed our product. 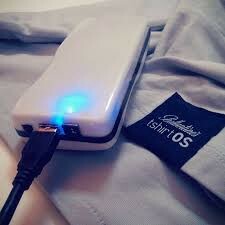 If a new longer life or slimmer battery came on the market, which it would, we could upgrade the unit without having the change the manufacture of everything else. The look of the shirt was also a challenge. Form and function. 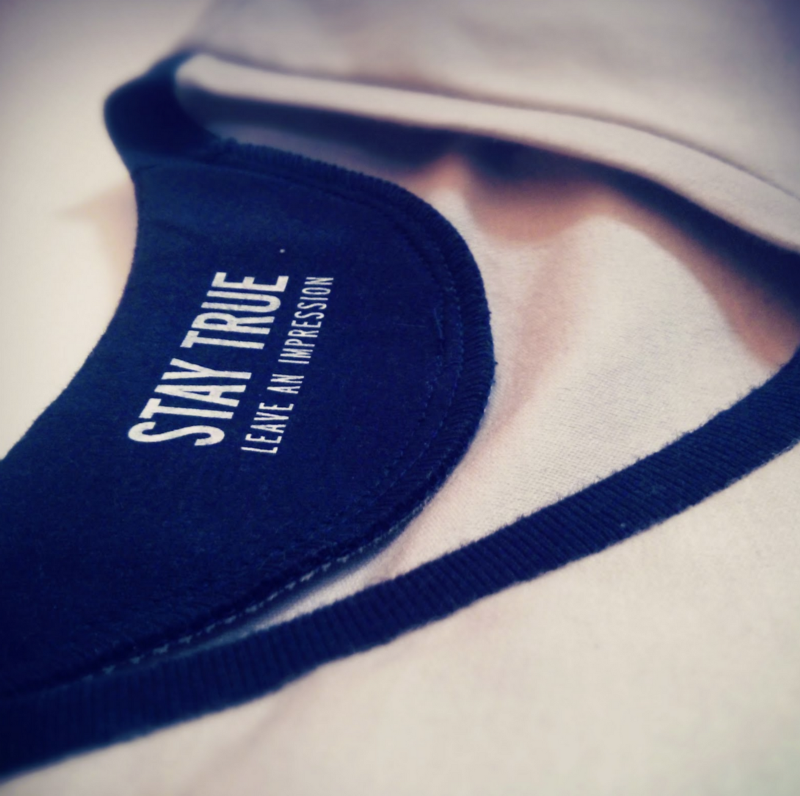 The rugby pull curve at the back showcases the brand, but also allows the wearer to take the shirt off without putting too much stress on the screen. 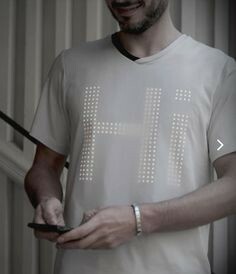 The blue-grey V-neck design, a unique, recognisable flourish, was also the best shape to stop the collar sagging from the weight of the 896 LEDs on the screen. 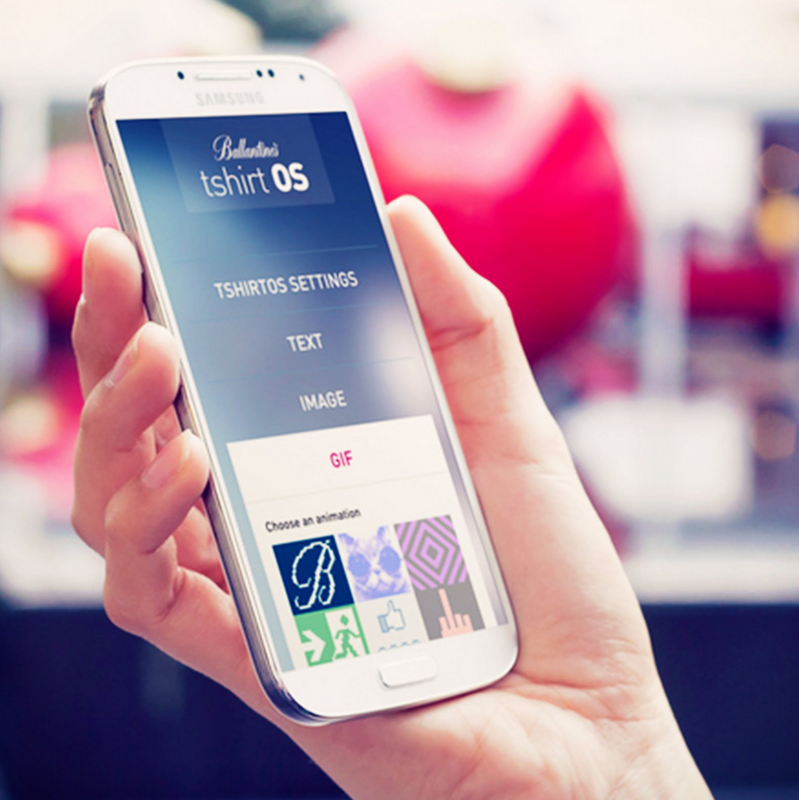 Lastly we switched the app from iOS to Android, to give us more freedom and control. 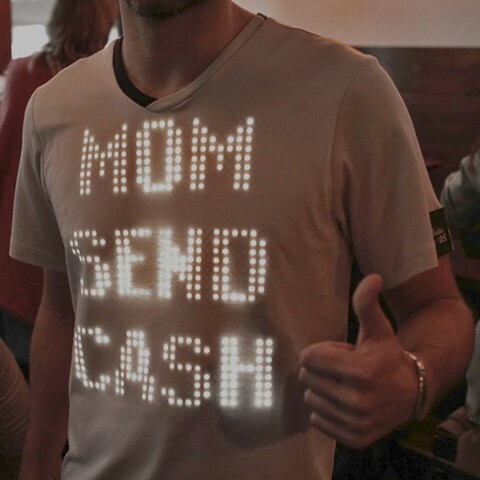 And reduced it to the core functions people really wanted — display any message, image or animation on a t-shirt, at the click of a button. To wear tshirtOS is just like wearing any other shirt. Yes you have a box in your pocket and there’s a little more to it. But you really don’t notice when it’s on. Before long you’re making cups of tea and getting on with your day. Just looking cooler. And when you turn it on… honestly, it makes you go…. WHOAH! We’re still a long way away from mass production. Like Mars far away, but we made 25 this time, so 23 more than 2. Which is an improvement. More importantly the product is now a robust platform that can be scaled. We now have a benchmark. 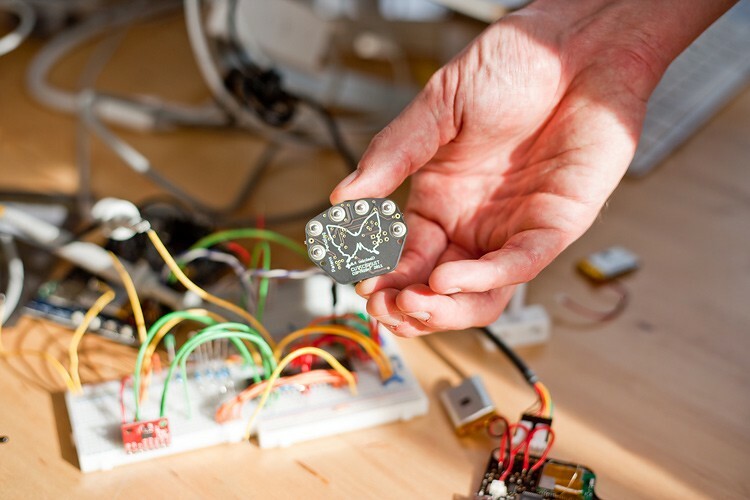 Innovation of this kind is iterative, and very unpredictable. 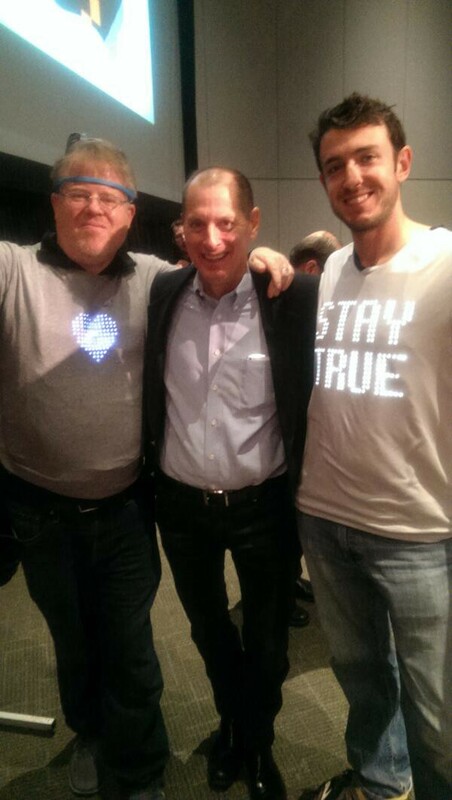 Wearables and IOT although big news are only just becoming big business. Innovation happens much faster in social media than it does IRL. 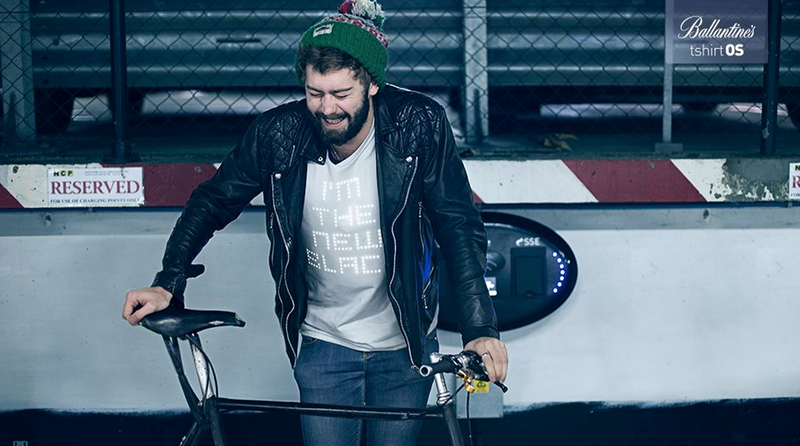 We took the shirt to SXSW and got some big names to try it on, again to great reviews. 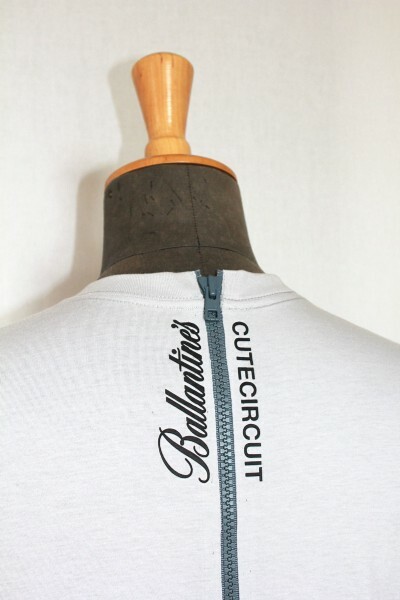 Marketing wise we sent all 25 units out to local Ballantine’s markets around the world for them to use. 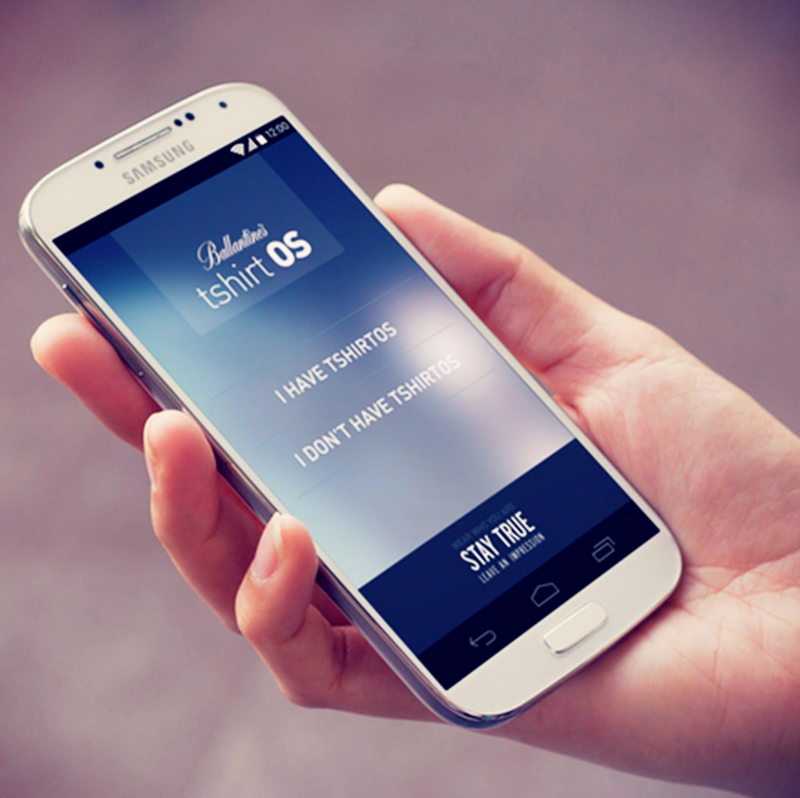 The shirt is after all a platform for wearable innovation, and a platform for marketing. Each market is free to use it as they wish— take it to parties, dress the DJ, and generally have a good time getting people to try it on for themselves — consider their own way of using it and creating buzz. Personal expression as marketing. 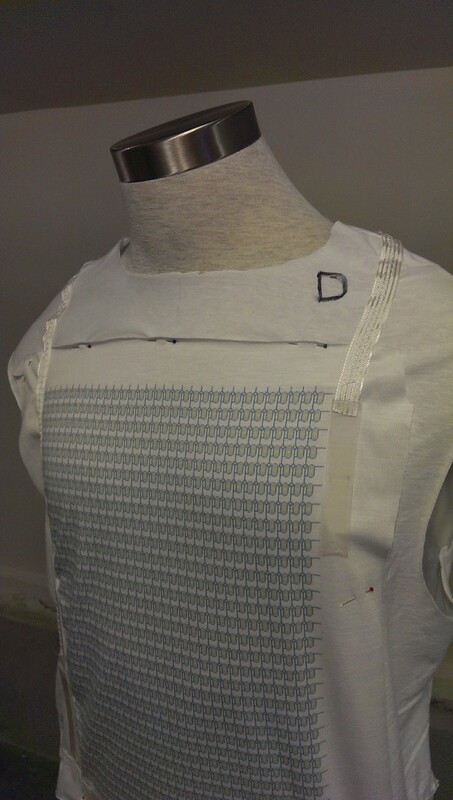 So, now with a solid robust, prototyped, reusable, washable, programable and scalable digital tshirt out in the world. Where next? With ♡ from the ♧.